Here’s your chance to get hold of a piece of the Red Dragons London in the shape of our exclusive Fan Club scarf! With the words “Red Dragons London” on one side and two of our distinctive Red Dragon logos on the other, this scarf has already been worn by fan club members at venues far and wide, from Old Trafford in Manchester to the Arena Khimki in Moscow and the Stadio Olimpico in Rome. 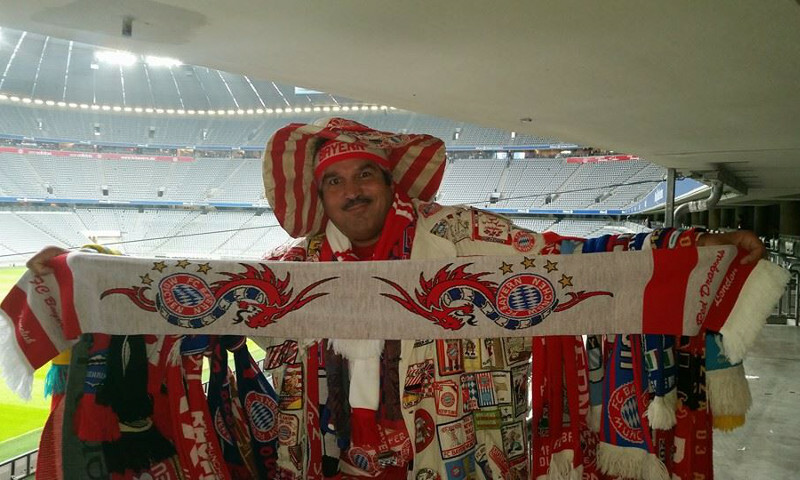 The Red Dragons scarf is both eye-catching and distinctive, and symbolises all this great about the Red Dragons London and FC Bayern München! 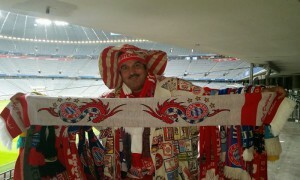 It can even be found in the massive collection of one of FC Bayern’s biggest cult fans, the famous “Buschmann”!